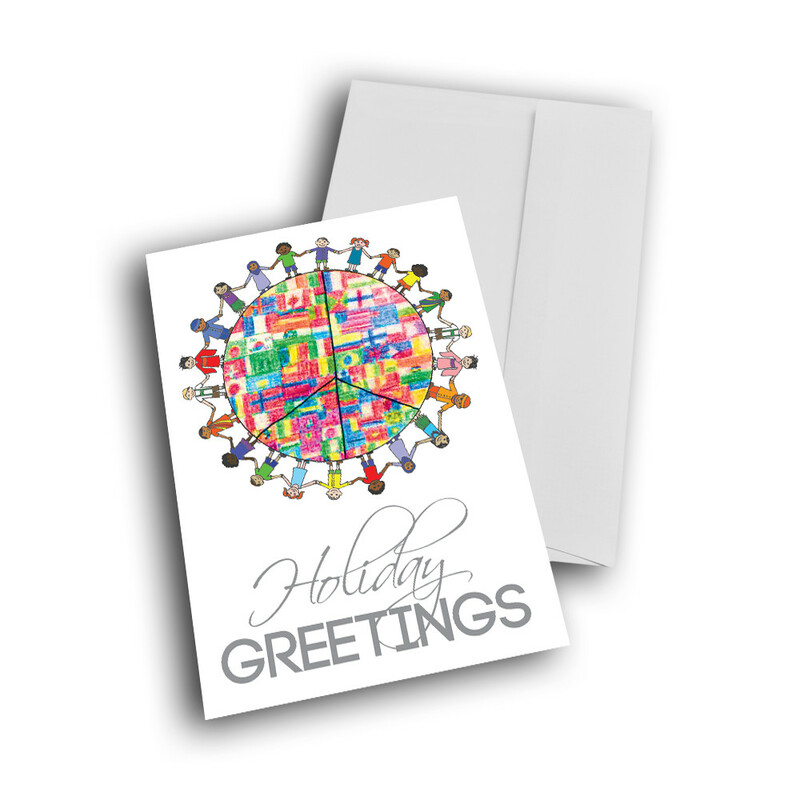 Wish for peace on earth with this sweet and simple holiday card. 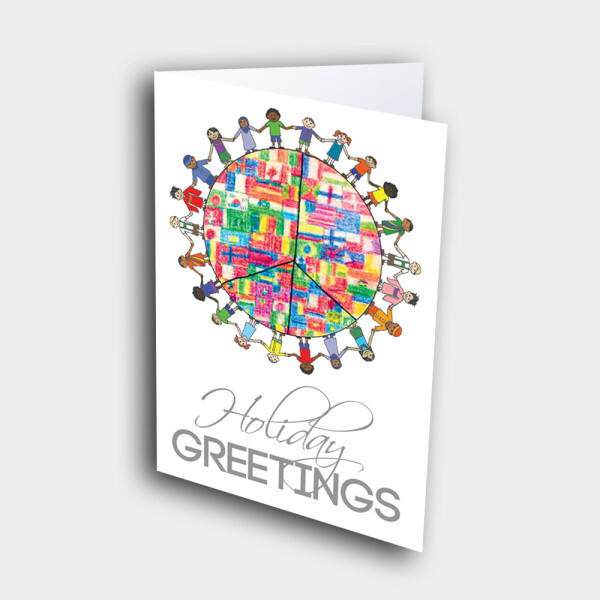 Capture the spirit of togetherness this holiday season with this peace holiday card. 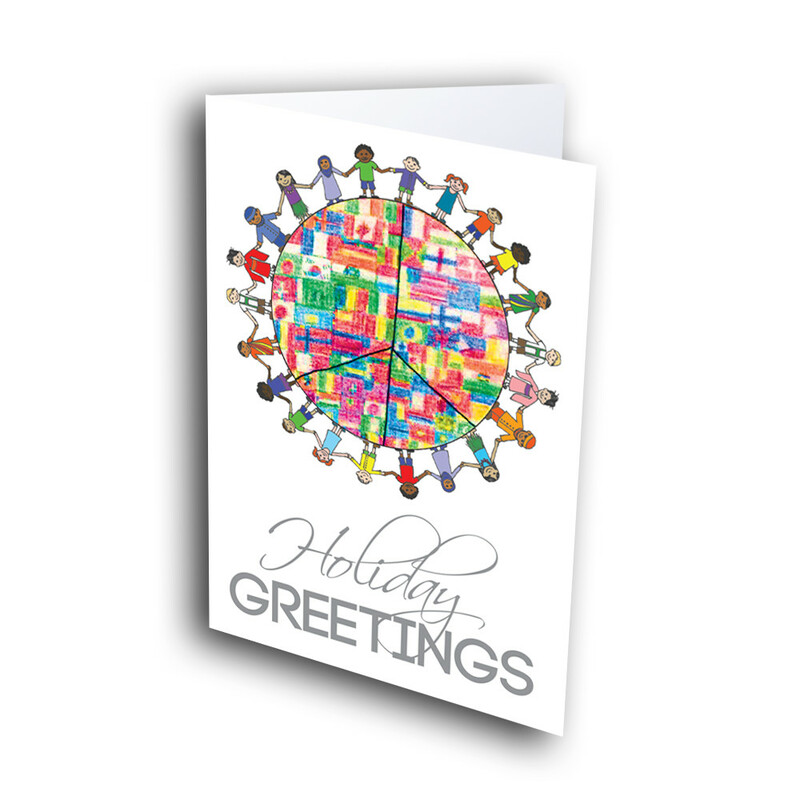 Diverse people link hands in harmony around a peace sign made of flags, against a clean, white background. 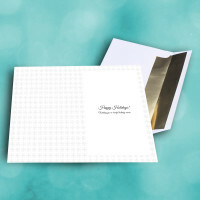 The inside is adorned with a detailed, blue snowflake pattern, with a classic message. 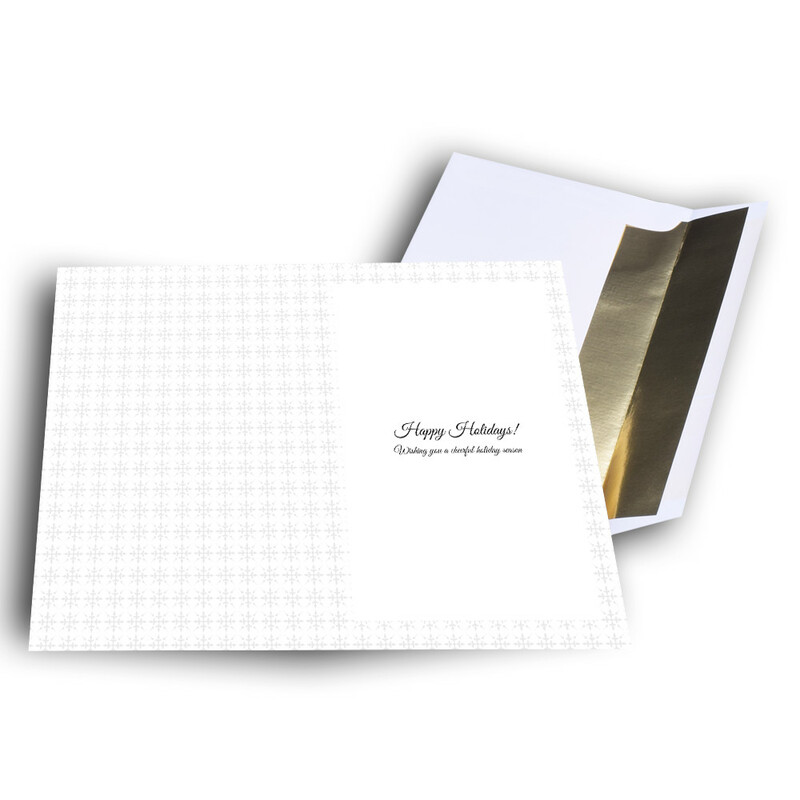 This message can be personalized to make the card unique and one-of-a-kind.